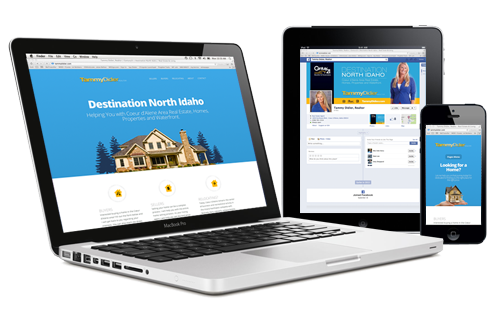 Personal and small business websites are affordable yet powerful tools for anyone. These packages are great for launching a product, landing pages for events, new startup companies, and those who need something quick until they’re ready to go big. Have questions? Contact us. Brand, corporate and enterprise websites that are powerful, fluid and adaptable to fit your companies needs. Wordpress is an amazing platform that is versatile and user-friendly so that every department from your receptionist to marketing can access and use its features. All websites come with a user guide and access to our video resources. Have questions? Contact us. Digital marketing is the key to online success and driving traffic to your business. These packages range depending on your needs and ongoing support and campaigns. Have questions? Contact us. Every website needs a web hosting provider. Once your site has been built, a web host stores the files and allows your visitors to access them through your domain name (YourWebsite.com). All websites built by ArtCoLab will be hosted at Godaddy.com or MediaTemple.com. We setup a custom hosting account based on your needs and requirements and offer highly customizable plans or additional services you can add to your account. For those that do not want to have their own account setup or have to deal with managing those items, we can host it for you on our account. Setup fees may apply and a premium hosting fee will be billed monthly or annually depending on your needs. Customized website design and monthly marketing to connect with customers. Powered by WordPress and your managed WordPress Hosting account at Godaddy.com you can keep your website current and ahead of the competition. We offer professional design including photos and copy created specifically for your business. We also setup of Google™ Local and monthly marketing submissions to top search engines and local directories. We take care of monthly website updates handled for you with just a phone call to your web expert. When it comes to mobile website setup for smartphone capability its all covered and built into your responsive website. You can also take advantage of tracking tools to view your online success. Call or purchase your package today. Websites act as a direct window into your business. A well designed maintained and promoted website has the capacity to generate more business and a greater awareness about the products or services that you offer. A website is now not only an online presence it is an online necessity for your company, with the advent of mobile, smartphone and tablet technology your website needs to work on many platforms and the user experiences required to be rich, well thought out and easily understood by the tech-savvy audiences craving online information. Along with website design, we also provide mobile app UI design and product demo creation.